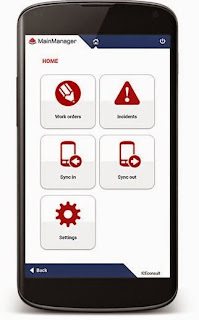 If you are an established FM and already have an expensive CAFM system in place, you are unlikely to look for a mobile option if your provider doesn't already have a solution. However; there are an increasing number of quality app developers who (given the right permissions) will be able to link to your back end database and provide you with a mobile option. Here at FM180 we are pragmatic about this. We have a mobile solution for our core application, MainManager which we believe is second to none. Unfortunately, if you have a system from another CAFM software house, you can't use that solution. We do however; have partners who could provide a solution. If this is of interest, give us a call and we can work with you to find the solution that best fits your needs. admirable post! I really like and appreciate your work, thank you for sharing such a useful information about work force management strategies and objectives, keep updating the information, hear i prefer some more information about jobs for your career hr jobs in hyderabad .